Hawaii | Cape Project Management, Inc.
Cape Project Management, Inc. has a full-time office in Hawaii. 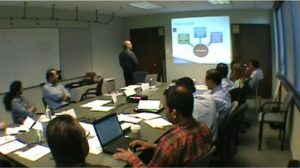 We offer our highly acclaimed Agile and Scrum public trainings in Honolulu as well as providing on-site Agile training and consulting to organizations throughout the Hawaiian Islands. See our public schedule for a dates that work for you. We can also come onsite to deliver training customized to the individual needs of your organization. Implementing Agile is a challenge for many organizations. We can help you by providing Agile project management consulting to improve the effectiveness with which Agile is adopted in your organization. Contact us for more information. Training is critical for a successful Agile implementation. We specialize in Agile and Scrum project management training for the novice through the expert. Contact us for more information on these customized advanced courses. Interested in delivering the training yourself or becoming an Agile Trainer? We also license our courses.